Phantasmagorical! There’s only one word which befits an utterly fantastic show which has been fine tuned to perfection. Despite a star studded cast, it is the car which is the star in this wonderful tale of the adventures of one family and their flying car. Becoming bewitched by a wrecked old ex-champion racing car which is threatened with the scrap heap, widowed Caractacus Potts, an inventor and parent to his two young children, manages to get the money together to buy it, and Chitty Chitty Bang Bang is given a new lease of life. 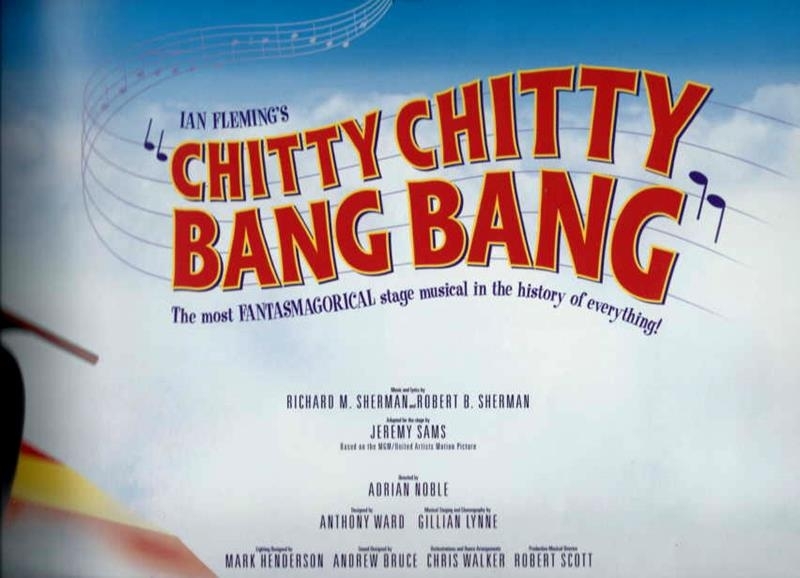 Chitty takes off over the stage in the highlight of a cleverly staged production under the direction of James Brinning. The use of video projection makes you believe you really are on Beachy Head in a motor car, and being chased by a pirate ship. 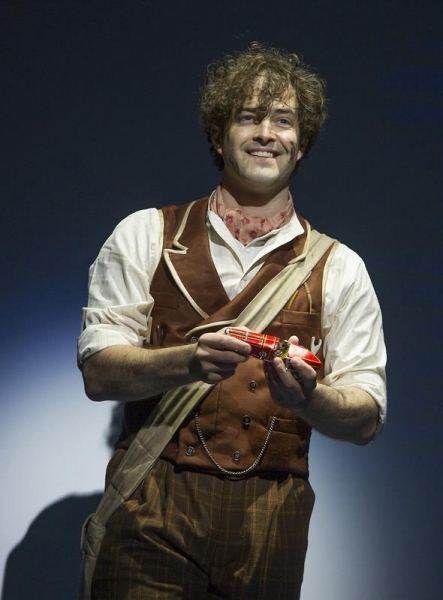 Lee Mead is completely charming as Caractacus Potts, the broken hearted and slightly bonkers inventor and dad to Jeremy and Jemina. Each of his scenes with the youngsters Henry Kent and Lucy Sherman is touching as he brings bags of humour to the role as well as showing that he can certainly sing. 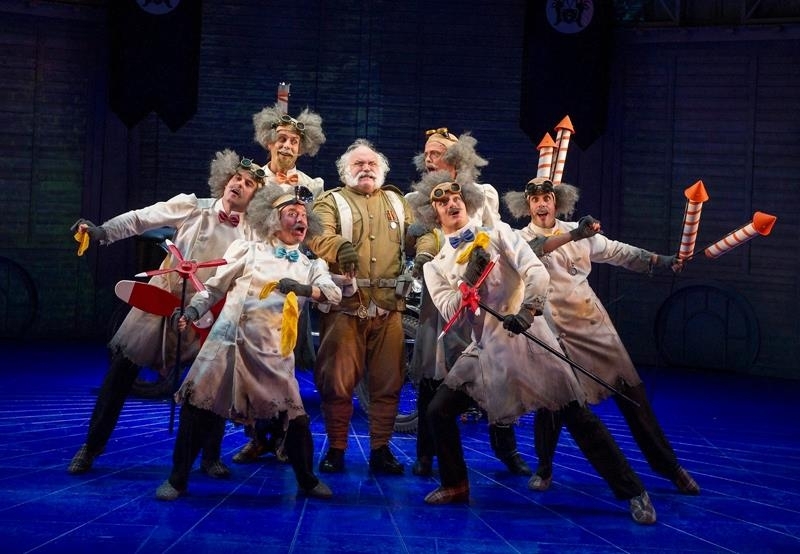 The talented ten year old Potts children impresses in all of their scenes, particularly in the Truly Scrumptious song alongside Carrie Hope Fletcher, who lives up to her scrumptious billing, and upbeat dance number Posh alongside the batty but endearing Grandpa, played brilliantly by Andy Hockley. A fictional cold middle European country called Vulgaria sends secret agent duo Boris and Goran to steal Chitty. 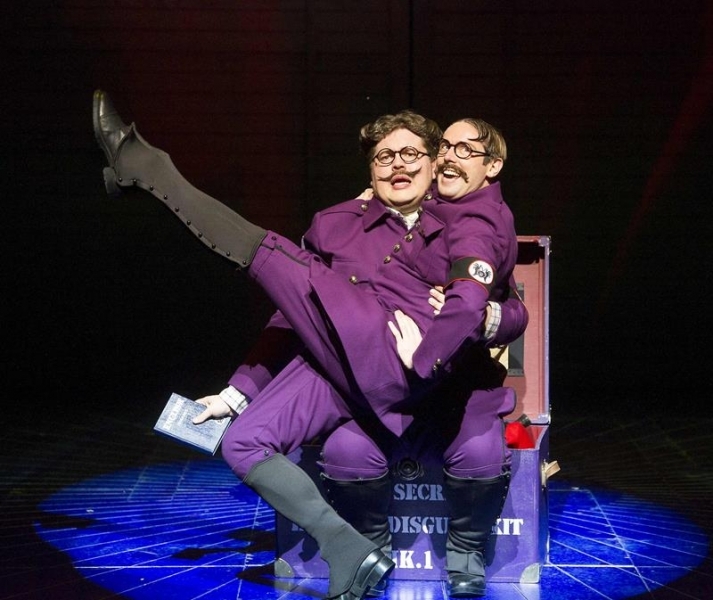 Sam Harrison and Scott Paige steal every scene that they are in as they make a brilliant comic double act when they set out on their spy mission. They disguise themselves first as English people and then as bushes. Englishness as a theme gets plenty of puncturing. 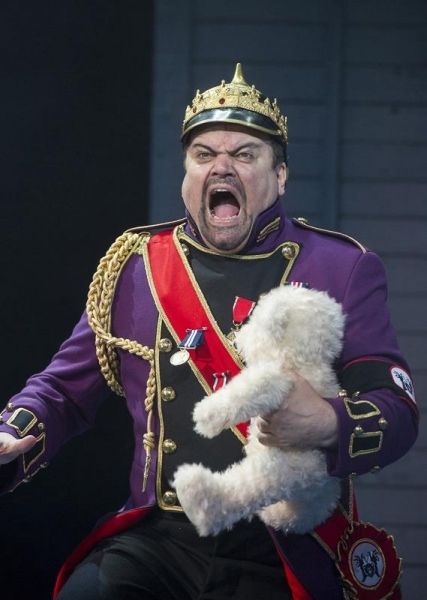 Baron and Baroness Bomburst are eccentric with Shaun Williamson in the role of the idiotic and childish Baron and Michelle Collins giving a hilarious performance playing the child hating spoilt brat Baroness. Matt Gillett as the evil child catcher was so realistic that he made you want to boo him every time he came onto the stage. Choreographer Stephen Mear ensured that the talented ensemble showed off their considerable skills without stealing the limelight from those in the main roles. With a score that included the favourites Me Ol’ Bamboo, You Too and Hushabye Mountain performed by a very talented live band, there was nothing not to like about this fun filled night at the theatre. 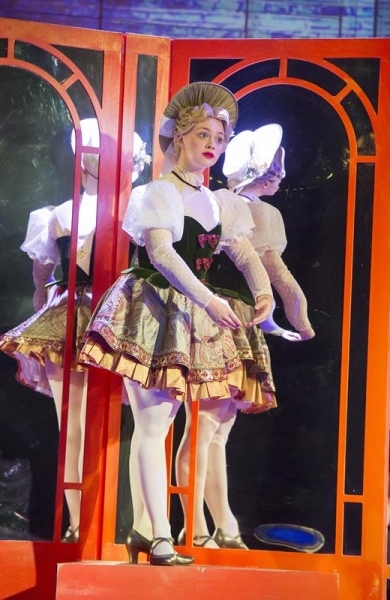 Particularly beautiful was the Doll On A Music Box scene, where Fletcher and Mead were completely enthralling as the dolls, before it all came to a triumphant happy ending. Ian Fleming created James Bond for the grown-ups and dreamt up this potty story for a younger audience. Young or old, judging by last night’s reception, he would be very proud at how it has all turned out. With tickets going faster than you can say Chitty Chitty Bang Bang, a good suggestion is that you snap yours up Toot Sweet.